well, originally uploaded by jahansell. 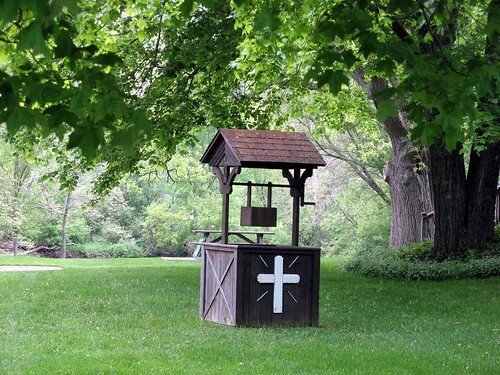 I don't know if it's a real well or not - come to think of it, it doesn't look like it, unlike yesterday's. I think it's just decorative! This is on Sharon Valley road, across the street from the cemetery there. Be funny if this one did work but as you say, doubtful. You could do a whole series on wells! Lovely subject. If you like wells you should go to Troyes there is a lot of them in the streets from the 15th-17th centuries. One day I will post some pics on my bog on Troyes-en-champagne.